Photo by Kim North Martins Ferry’s Sidne Sidon stretches out to catch a ball during Friday’s game against Harrison Central. Sidon’s defensive gem came in the first inning. 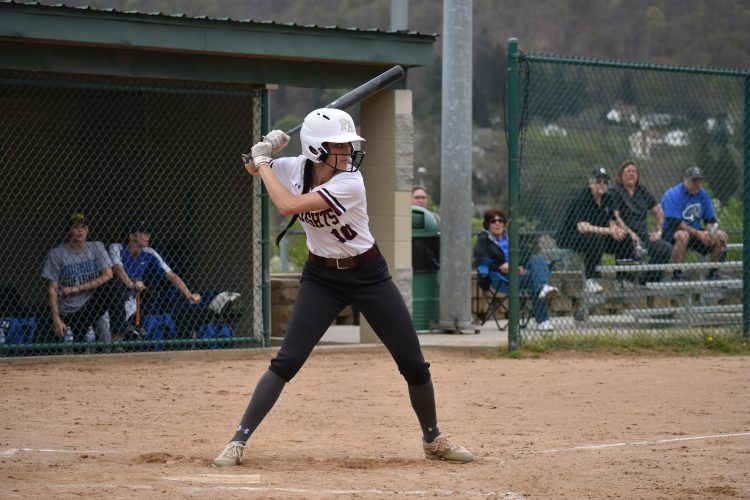 MARTINS FERRY — Abby Bumbico wasn’t perfect high atop the Purple City Friday, but she was darn close. 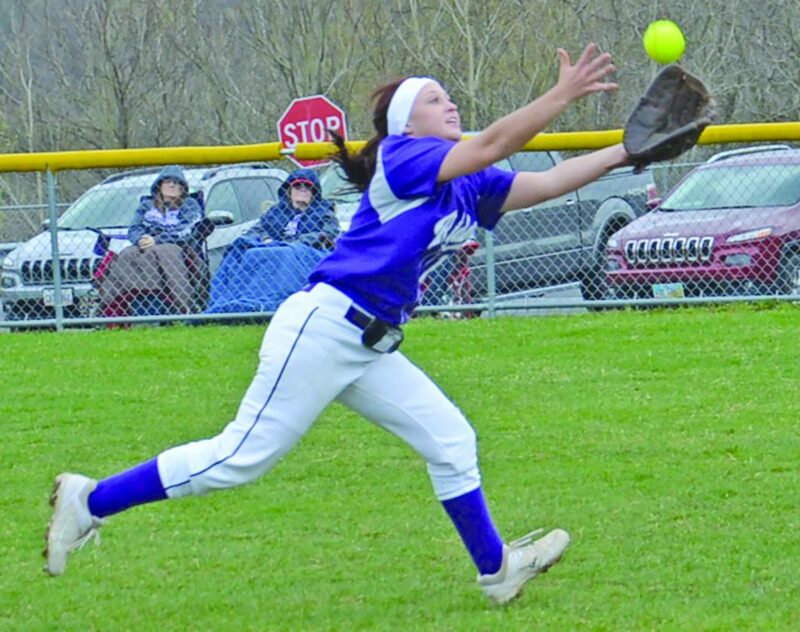 The Martins Ferry senior retired the first 19 Harrison Central batters she faced before settling for a two-hitter as the Purple Riders blanked the visiting Huskies, 9-0, in softball action on the Rider Little League Baseball Field. Bumbico said she wasn’t aware of her perfect outing when she toed the rubber for the seventh inning. Bumbico agreed with her coach on her mixture of pitches. After getting Britton Positano on a comebacker to start the seventh, West Liberty recruit Madison Young broke up the perfect attempt when she dropped a 2-1 pitch down the rightfield line for a single. Joclyn Peshek singled with two outs. 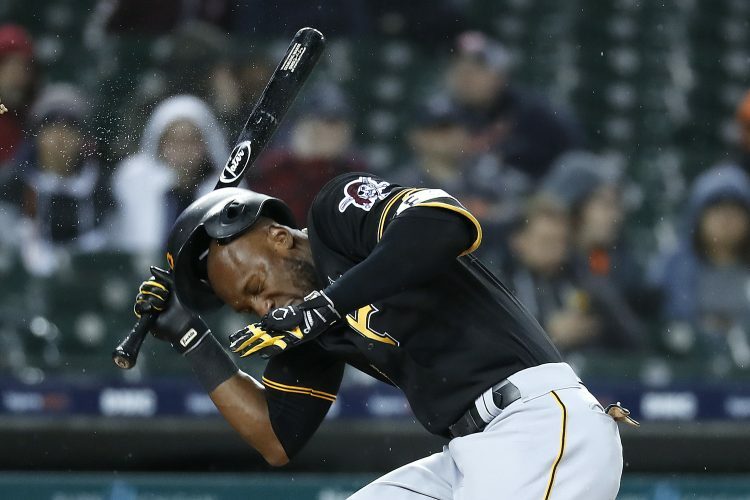 Of the 21 outs recorded, four were strikeouts — two looking and a pair swinging — while seven were ground outs. She induced four popups, a like number of flyouts and two line drives, including one off the bat of Positano leading off the game. “(She) kept us off balance and she worked the zone real well. She kept us thinking. Bumbico needed 77 pitches, of which 52 were strikes in the 1 hour, 31 minute affair. The contest pitted the top two teams in the OVAC Class 4A standings, with Harrison Central (10-4) entering at No. 1. Martins Ferry provided Bumbico with all the run support needed in the first when it put up a three-spot. Bumbico started the two-out uprising with a solid single to left-center. She alertly took second when the ball was kicked around. Maria Clark drew a four-pitch walk before Hunter Pollock sent a single to right that chased in Bumbico. Sidne Sidon, the Purple Riders second baseman who made an outstanding catch in shallow right to end the top of the inning, drilled a two-run single to left for a 3-0 advantage. 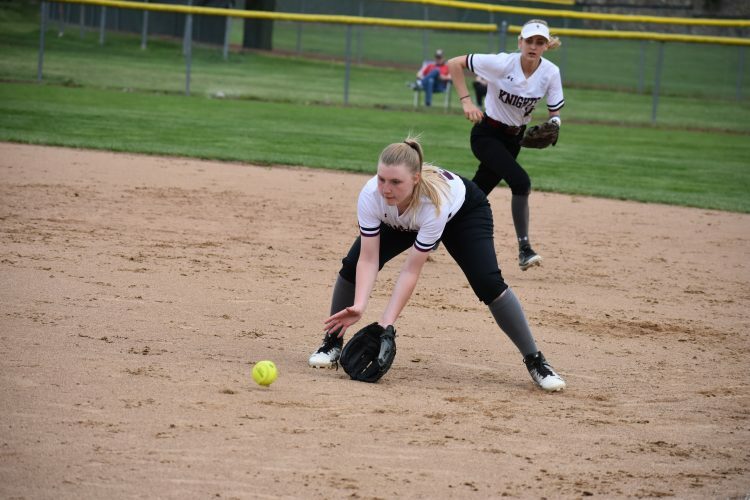 The Purple Riders added three runs in the fourth and tacked on a trio an inning later that was highlighted by Sydni Trudo’s two-run homer that hit the top of the fence in deep left and bounced over. In addition to Bumbico’s stab to open the contest and Sidon’s defensive gem, both corner outfielders — Alea Funkhouser (left) and Aubrey Braun (right) — also turned in fine running catches. Clark finished with two singles and a double for the Purple Riders, who host Weir today for two games. Funkhouser, Sidon and Jaden Stalder all had two safeties. Kaylee Elliott took the loss inside the circle. She was followed by Peshek and Sarah Touville. The were rocked for 13 hits. 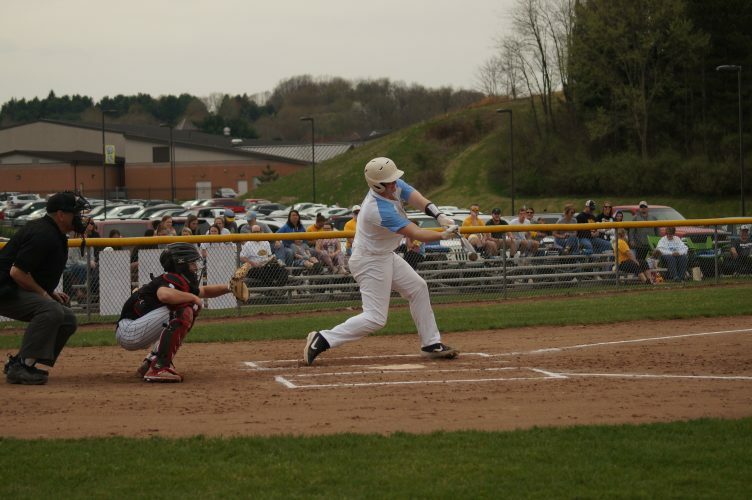 Harrison Central travels to New Manchester today for a doubleheader with Oak Glen that starts at 2:30.